With ever more stringent requirements to get small business financing from the local bank, businesses need direction on where they have a better chance. In today’s financial market, businesses have many more options than in the past. Millions of dollars a day are being provided to help small businesses to grow and thrive. Banks try to fit you into a small box. A major challenge for small business financing is that they need small amounts of financing. Many small businesses only need a few tens of thousands of dollars of funding at a time. It may sound like a lot of money to most of us, but not to banks. They literally cannot afford to lend out small amounts of money. With the way their programs are designed and regulations they are under, they cannot charge enough interest and fees to cover the cost of “small” amounts of financing. We will list and discuss a few that you may be able to take advantage of. Some business types will be able to take advantage of several financing options. Factoring pre-dates banking as a source of financial support for businesses. This was important in the early history of the United States because a lot of product was being sold and shipped across the Atlantic Ocean. Farmers and distributors needed a guarantee of being paid. Modern factoring works a little different than it did in the early days of the U.S. Modern day factoring, also known as California factoring, gets business owners cash normally within 24 hours. With the invention of the internet and powerful computer and communication technology, factoring has been made more available and cheaper. Just what is factoring? Technically, factoring is the purchase of an invoice at a discount. It is similar to what happens when you purchase something with a credit card. When you pay with a credit card, the merchant sales your purchase transaction to your credit card company at a discount. Usually at a 2% to a 4% discount. What’s the benefit to the business owner? He has money deposited into his account within a couple of days, does not have to offer credit or have a collections department, protected against losing money from people who do not pay, and will have more customers coming into his business. Many businesses that provide a service or product to another business have to wait to be paid. In many instances, they have to wait one to three months to receive payment on their invoice. In the meantime, they still have a business to run. Bills have to be paid, suppliers have to be paid, employees have to be paid. Other orders have to be filled, contracts have to be honored. How do you cover the cost of running a business while waiting to be paid? That is where factoring is a powerful financing tool. Factoring normally gets you paid within 24 hours of invoicing an order; for a small financing fee. Now you can pay your bills, suppliers, employees, and have money to support your contracts going forward. Plus, you will be able to take on more sales and lucrative contracts without worrying how you are going to finance them. And you will not need to grow an accounts receivable department. Put your money and efforts into growing a sales team. Factoring is available to any type of business that provides a service or product to another business and creates an invoice. Freight transportation, staffing, sub-contractors, manufacturing, distribution, commercial cleaning, IT support, disaster relief. Application is simple and most businesses would qualify; even startups. More information here about the benefits of factoring and how it specifically relates to certain business industries. Businesses need equipment. Getting the finances to purchase that equipment can be painstaking. With bank equipment loans, businesses normally have to come up with about 20% of the cost. This upfront money may not be available. Plus, even if it is available, you are still cutting into your working capital. Bank equipment financing usually comes at a slow pace. This can be truly costly if you are at a stand still trying to replace defective equipment. It can also be costly if it is keeping you from getting equipment that can be making you money right now! Equipment leasing normally gets you your equipment within a week or so. But exactly how does it work? The equipment leasing finance company buys the equipment for you. Often times, they will also pay the delivery and installation cost. You pay to lease the equipment back from them until the lease term is up. At that time, you pay the final cost of purchase of the equipment or you can allow the leasing company to keep the equipment and you buy new equipment. Some companies go for this option so they can always have new and updated equipment. Only one monthly payment is normally required to activate the leasing agreement. This allows you to keep money in the bank to handle other business needs. If you have a true lease contract, then your monthly payment is normally tax deductible as a business expense. In this vein, an equipment lease does not show up on your credit report, keeping your credit line open for other purposes. An equipment true lease is a business expense, not business debt. Deepen your understanding of equipment leasing here. Getting a business loan from your local bank can be a difficult task. Most banks want you to have been in business for a couple of years. Also, they are not very understanding of what caused you to have a low credit score. Even if you meet those criteria, the process can seem to drag out. This long process keeps you from being responsive to opportunities or needs that comes up. Another negative factor with bank loans is that they consider your business history as criteria for your application. In contrast, many funding institutions today look at your present sales and future potential. They are interested in what you are doing now. Instead of having to have been in business for a couple of years, many are funding businesses that have been in business for just 3 to 6 months. Most all types of businesses are being funded. How are these loans structured? They are short term loans, usually from a few months to 5 years. They are based on total monthly sales or just on credit cards sales. Merchant cash advances are paid back incrementally as those sales are uploaded through your credit card service provider. Other types are normally paid from automatic debit of your bank account. Instead of an interest rate, the payback is based on a factor rate. Your rate is determined by your credit information and the length of time you need to pay your funding back. You normally will be given several options to choose from. And you will know upfront how much your total payback will be. Learn more about small business loans that are available. Small business financing is available, you just need to know where to look for it. Most of us are programmed that only banks are in the financing business. Now more than ever, that thinking is far from the truth. Financing is available for small businesses. You not only have financing options, you have viable options. You not only have viable options, but you have the ability to have financing quickly, saving both time and money. 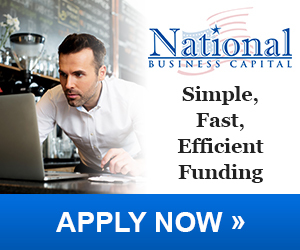 Small business financing is available.